Mr. N. Sridhar (IAS – Govt. of India), Mr. Arvind Malkhede (I.R.T.S. – Govt. of India) & Mr. Rakesh Bhasker (IRS – Govt. of India) inaugurated the INDIA’S BEST COMPANY OF THE YEAR AWARDS 2018 ceremony as the chief guest for the evening. Mr. N. Sridhar honoured all awardees with the Trophies and Mr. Hemant Kaushik (CEO) Berkshire Media Pvt. Ltd. (A Division of Berkshire Media LLC, USA) honoured all awardees with the certificates. Mr. Hemant Kaushik, President of INDIA’S BEST COMPANY OF THE YEAR AWARDS Council was very happy about the successful completion of the event. 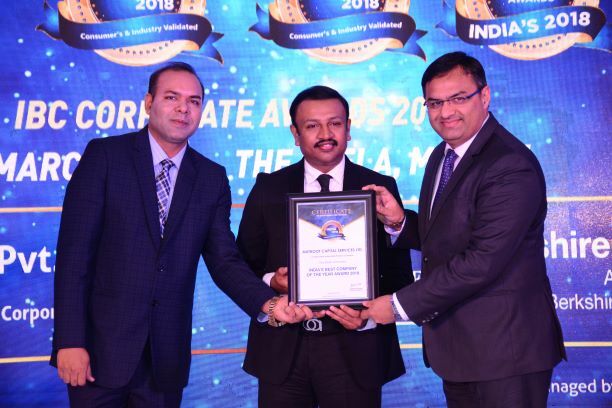 Mr. Kaushik said that INDIA’S BEST COMPANY OF THE YEAR AWARDS 2018 platform salutes all the selected Top 50 companies of India and the event has proved to be the most radiant platform which showcased most distinguished personalities and companies of India. “Today’s evening has been all about leadership, entrepreneurship, and inspiration. Every business leader wants to grow his company and INDIA’S BEST COMPANY OF THE YEAR AWARDS 2018 is that platform which is a new dimension in the way they want to grow.” He further added. He said, “Today’s day was magical. It is truly a proud moment for selected Top Indian Companies as companies and leaders got a powerful platform to showcase their strength and companies value”. INDIA’S BEST COMPANY OF THE YEAR AWARDS Council will continue to honour and recognize the best companies in the years to come. The group will continue to showcase the companies and organisations that are touching and changing the lives of millions of Indians in the country. INDIA’S BEST COMPANY OF THE YEAR AWARDS provides these winners an opportunity to showcase their achievements, contributions and network. 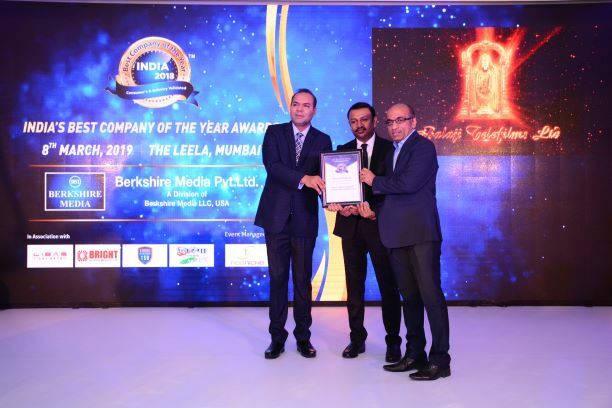 As a President of INDIA’S BEST COMPANY OF THE YEAR AWARDS council and a CEO of Berkshire Media, Mr. Hemant Kaushik welcomed all the CEO’s, Managing Directors, Presidents, Vice Presidents, Directors and other senior officers who were there to attend INDIA’S BEST COMPANY OF THE YEAR AWARDS Ceremony. Berkshire Media conducted comprehensive research for selecting the companies. Based on the research report the companies have been ranked for the awards. 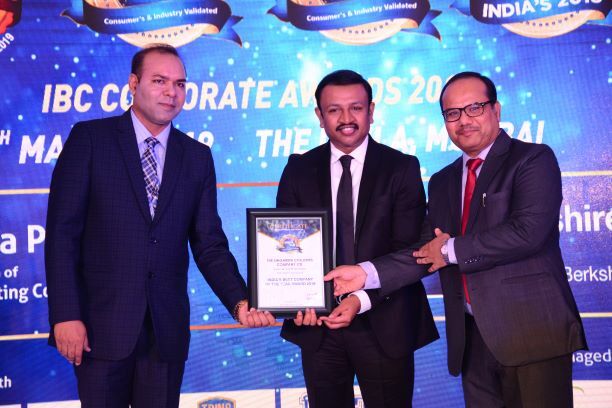 INDIA’S BEST COMPANY OF THE YEAR AWARDS is a distinctive recognition for a company recognized as, “BEST COMPANY” in its industry category based on current year market standing, innovation, leadership, governance, CSR and other such factors. Its evaluation process is based on expert analysis and attributes based on qualitative research. INDIA’S BEST COMPANY OF THE YEAR AWARDS believes that it can provide tremendous service by identifying those which have maintained the highest standards of product & service integrity and companies development. Mr. N. Sridhar (IAS – Govt. of India), Mr. Arvind Malkhede (I.R.T.S. – Govt. of India) & Mr. Rakesh Bhasker (IRS – Govt. of India) graced the awards ceremony with their presence and addressed all the winners and congratulated them. Mr. Pushpit Gaur (Director Brand Development) gave a vote of thanks to all the winners on being the INDIA’S BEST COMPANY OF THE YEAR 2018 and the glittering awards ceremony was hosted by Emcee Simran Ahuja, well attended by industry leaders from across business and service categories, media celebrities and many other eminent guests. Besides celebrating the new milestones created by companies in India, the event was also one of the finest opportunities to network and interact with the best minds in the country. 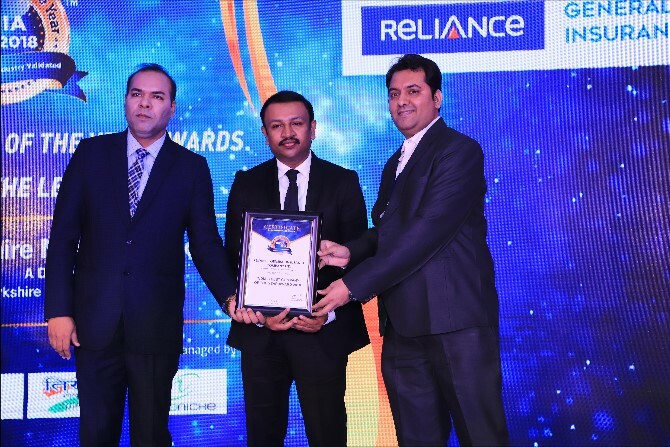 The companies which were honoured with the title of INDIA’S BEST COMPANY OF THE YEAR 2018 are RELIANCE GENERAL INSURANCE COMPANY LTD., MUTHOOT CAPITAL SERVICES LTD., PIGEON INDIA PVT. LTD., HIL LIMITED, DAIKIN AIRCONDITIONING INDIA PVT. LTD., LIFE INSURANCE CORPORATION OF INDIA, THE SINGARENI COLLIERIES COMPANY LTD., IDBI CAPITAL MARKETS & SECURITIES LTD., BENARES HOTELS LTD., MAA KAMAKHYA DARBAR FRAGRANCES (INDIA), RELAXO FOOTWEARS LTD., SMITH & NEPHEW HEALTHCARE PVT. LTD., SI GROUP INDIA-PRIVATE LIMITED, BHARUCH ENVIRO INFRASTRUCTURE LTD., JINDAL STEEL AND POWER LTD., BALAJI TELEFILMS LTD., DATAMATICS GLOBAL SERVICES LTD., CAMEX LIMITED, TAPARIA TOOLS LTD., INDIAN RARE EARTHS LIMITED, BALAJI AMINES LTD., SANGHI INDUSTRIES LTD., HITECH CORPORATION LTD., PROCURE TECHSTAFF PVT. LTD., AKUMS DRUGS & PHARMACEUTICALS LTD., WEP SOLUTIONS LTD., RATHI BARS LTD., ITI LIMITED, FILATEX INDIA LIMITED, ELANTAS BECK INDIA LTD, RIDDHI STEEL & TUBE LTD., ACTION CONSTRUCTION EQUIPMENT LTD., ABM KNOWLEDGEWARE LTD., BIZ-TECH CONSULTANTS PVT. LTD., INDO AMINES LTD., VARDHMAN SPECIAL STEELS LTD., RAGHAV PRODUCTIVITY ENHANCERS LTD., SURYAKANT KAKADE & ASSOCIATES, ERCOM ENGINEERS PVT. LTD., etc. Mr. Hemant Kaushik said we are organising ASIA’S MOST TRUSTED COMPANIES AWARDS 2019 on 21st October 2019 at Hotel Grand Hyatt in Bangkok, Thailand. In this award function, we will be honouring Asia’s most outstanding 50 Companies with distinguished activity, exceptional qualities, and prominent achievements. Final selection of winners will be made on the basis of research and expert panel assessment.